In 1500, the Portuguese explorer Pédro Alvares Cabral set forth from Belém, now a riverside quarter of Lisbon, and found Brazil. Five centuries later, that country's greatest living architect and winner of the 2006 Pritzker, Paolo Mendes da Rocha, has left his mark in Belém. Yet the new Museu dos Coches (Coach Museum) he designed stands inert behind hoardings, empty and still since construction stopped in June 2012. 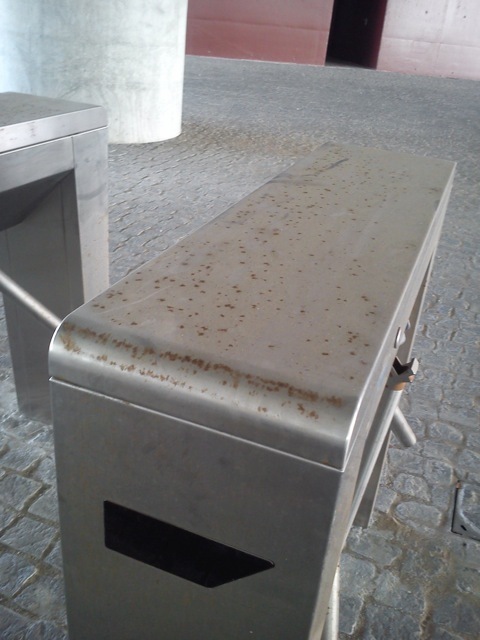 Rust has etched itself into the turnstiles beneath the great exhibition space that patiently awaits the installation of fancy gilded carriages and other baroque vehicles, mainly from the 18th century. This volume, a great modernist box 126m long and 48m wide, seems to float on air. A second volume sits within an acrobatic concrete frame, and both are set in a plaza that plays with paradigms of public realm, and reaches into vernacular housing. 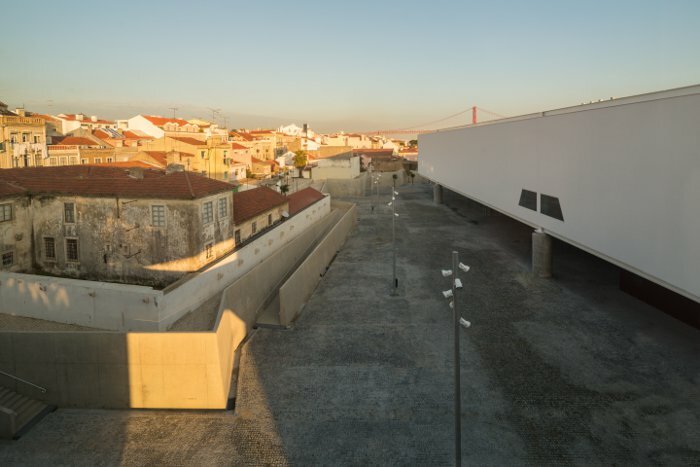 But, like a highwayman holding up a coach, Portugal's incoming austerity government in 2012 held up the new Coach Museum. Humidity and sea airs have brought the first corroding rust. The air conditioning inside has never been fully activated. Luckily, things are starting to move again. An opening date has been set: May 2015. Bak Gordon reckons that just seven per cent of the construction work remains to be done, namely a 180m-long pedestrian bridge over the railway line that cuts through Belém. 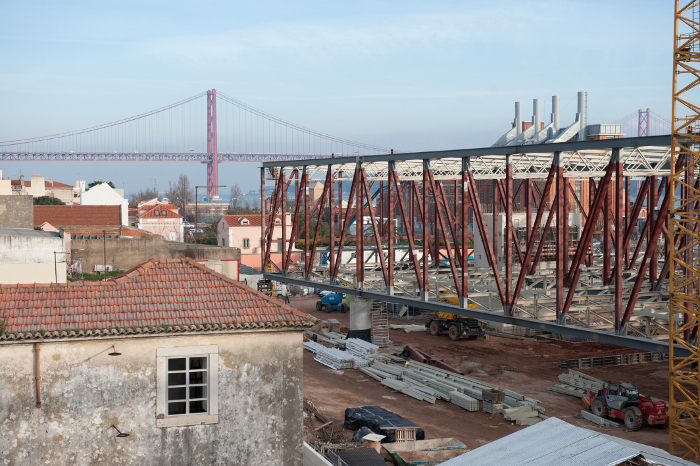 This will directly connect the museum to the Tagus riverside. The plaza beneath and around the museum might even open earlier. The project will extend the touristthronged heart of Belém, a World Heritage site and home to the bakery where the pastel de nata, Portugal's world-famous egg-custard tart, was perfected. Presently, the Coach Museum is housed in a neo-classical royal equestrian school designed by Giacomo Azzolini in 1786. It is Portugal's most visited state museum (though only half as busy as the semi-private Alvaro Siza-designed Serralves Museum in Porto). Just a third of the museum's 148 historic coaches can be displayed - more are housed in a palace 200km away. 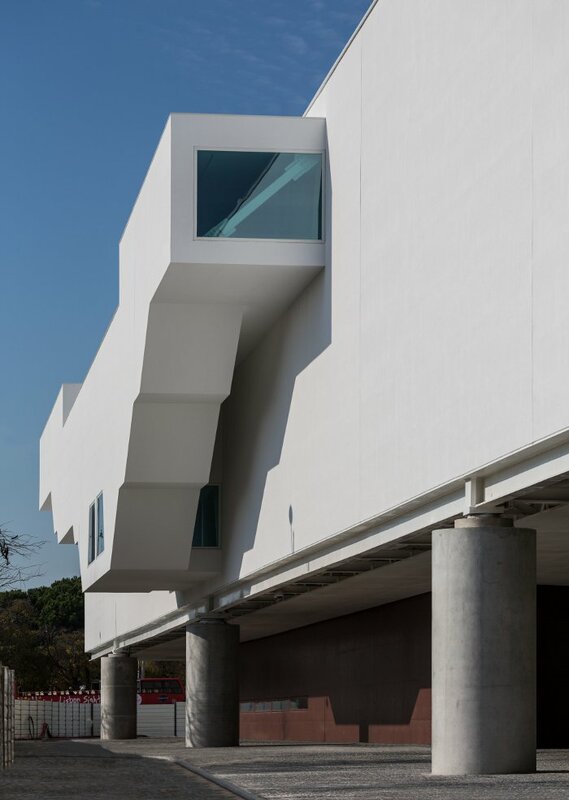 Before Portugal's economic crisis, the government had casino revenues to disperse on culture, and decided on a new museum. 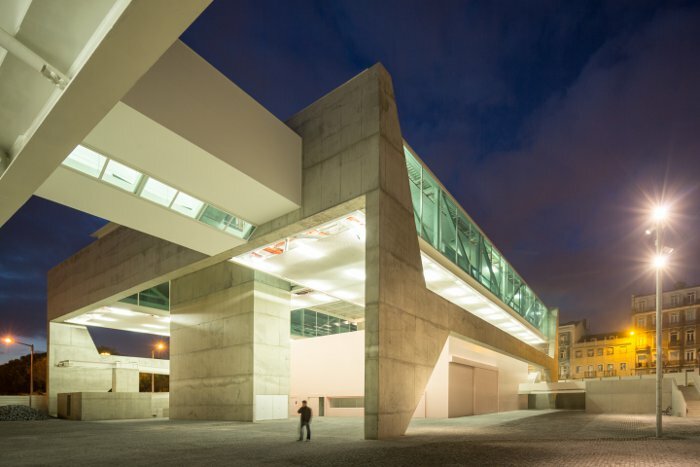 There was no architectural competition - Bak Gordon recalls that 'an international name' like Zaha Hadid was wanted, but Portugal's own Pritzker winners Eduardo Souto de Moura and Álvaro Siza both recommended Mendes da Rocha. He was appointed in 2007. The 85-year old São Paolo-based Mendes da Rocha is a legend. His work dramatically introduced itself to São Paolo with a bold, sculptural, flying saucer-like form on six tapering pillars, for the Club Atletico SP (1957). Along with his mentor João Batista Vilanova Artigas, he was at the heart of the Paulista School, the city's brutalist movement from the Fifties, which stood in contrast to the Rio School of Niemeyer and others, with their curvier, lighter forms. Mendes da Rocha and Artigas also shared a socialist zeal. Bak Gordon says they were of a mind on everything, 'particularly the political', and after Artigas died in 1985, he remains 'an inspiration forever - in architecture, space and politics'. Bak Gordon has known him even longer. When he won a design competition for a new (unbuilt) Portuguese embassy in Brazil in 1997, he knew no-one there and got in contact with Mendes da Rocha for advice. 'He was very kind, we became friends, we kept in touch down all the years,' says Bak Gordon. When Mendes da Rocha wanted a local Portuguese architect to collaborate with, Bak Gordon was the obvious choice. So, what are the essentials of the design? On presenting drawings and a model of his proposals in May 2008, Mendes da Rocha said there were two architectural questions the new museum must address: museology and urbanism. On the latter, the 16,170 sq m site is awkward, sandwiched between the railway which cuts it off from the river Tagus, and two centuries-old houses which were to be preserved in the government initiative Belém Rediscovered. At its western end, it faces gardens in front of Azzolini's building, and beyond it, towards the Atlantic, the vast, 16th-century Manueline gothic facade of the Jerónimos Monastery. Trams glide past amid constant traffic, tides of tourists wash between historic buildings, cafes and modern coaches. 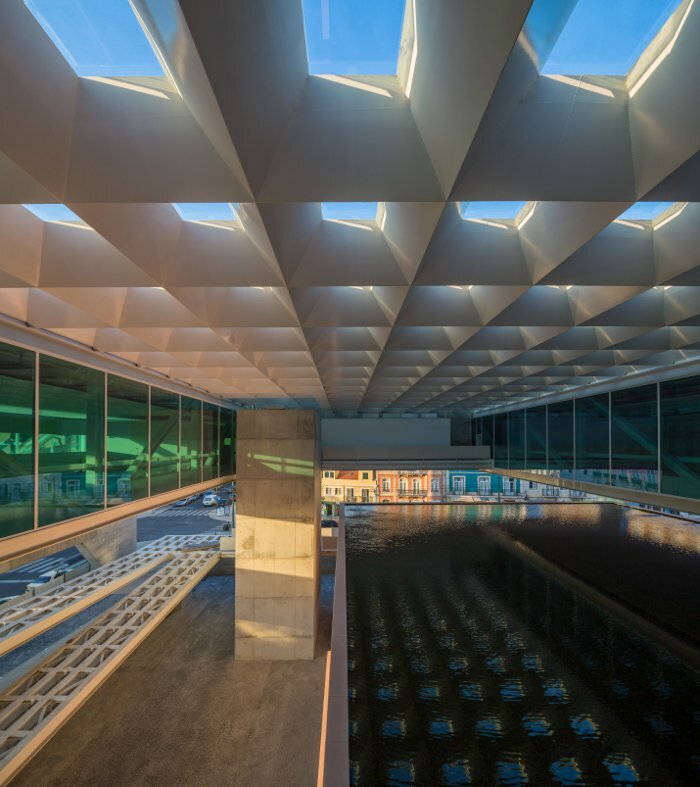 Beneath the exhibition volume, the plaza squeezes into an almost abstract geometric space between a diagonal ochre wall, behind which the reserve collection is stored, and a glass pavilion is the entrance. Lifts with a capacity of 75 persons bring the visitor into the exhibition halls themselves. Allowing for up to a million visitors a year, they occupy a neutral box 126m long and 48m wide, with a continuous concrete slab floor. It rests on 14 circular columns, each 1.8m wide, topped by sliding bearings to cater for thermal expansion. The vast space is split longwise into three. 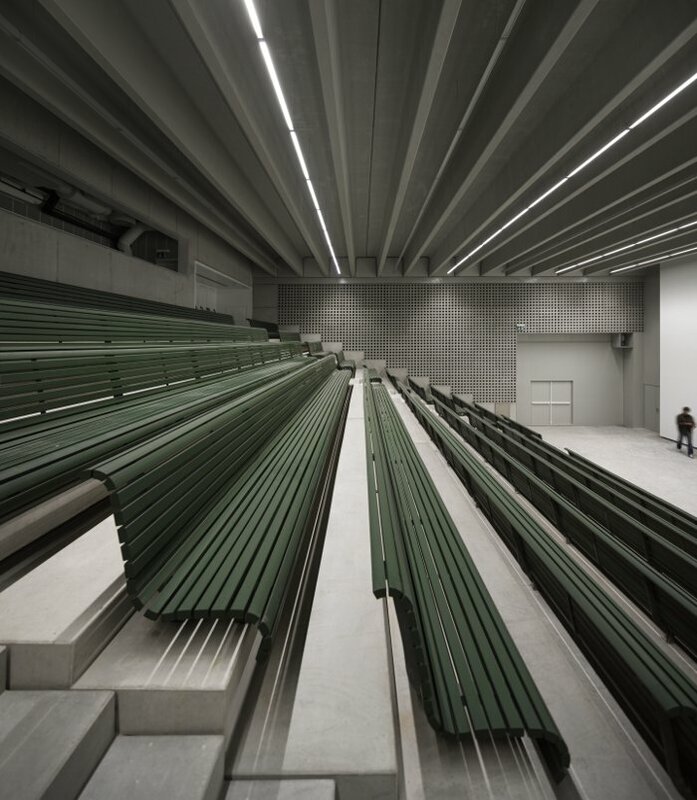 On either side of a central, solid spine runs a spectacular, long, airy space, stretching to a window slit running across each box ends, narrow because the coaches' delicate paints can be destroyed by over-exposure to sunlight. Trapezoid openings punctuate the white walls of the spine, allowing cross-passage or forming showcase windows for enclosed exhibits. Walkways are mounted along this central spine, connecting with bridges across the exhibition floor so that the fancy coach roofs can be viewed from above. To the north, the walkway branches out to the annex. Beneath the galleries, the ochre-walled space houses reserves from the collection. Ironically, apart from its floor, this volume is not the concrete that characterises so much of Mendes da Rocha's work. Furtado explains: 'A steel structure has been chosen for its lightness - the building is in a seismic area and its dimensions and big spans would be too demanding of the foundations if we had chosen concrete.' The light construction allows easy integration of services, and there are even glimpses of pipes painted red above metal grid ceiling panels. Bak Gordon denies any British high-tech influence here - Mendes da Rocha 'always wanted to reveal the infrastructure. It's pedagogic in a way'. Is the way the exhibition box is suspended above the plaza a reference to the way coach bodies are suspended above the ground? Enclosed stairs cantilever out from the river-facing south side, in a solid, stepped section that widens out to 70m as it climbs - might it allude to how a coach body widens from its chasis to its windows? Bak Gordon says no to both, saying rather that Mendes da Rocha 'lifts in every project' because he and Artigas had 'a political conviction...you never block the territory of the city'. 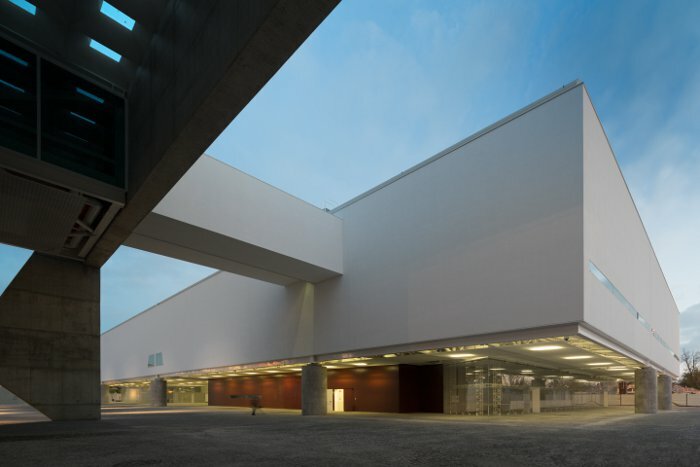 This can be seen at the Cais das Artes in Brazil's island city of Vitória (due to open December 2014), a collaboration with Metro Arquitetos of São Paulo, designed concurrently with the Museum of Coaches. It is also two linked volumes, with its exhibition space lifted. Indeed, the drama of the rectangular slab form raised on columns has a continuous lineage with a key Paulista School concrete building, Artigas' Faculty of Architecture & Urbanism at the University of São Paulo (designed 1961). Of course, Le Corbusier too raised modernist volumes on piloti, but Bak Gordon says the Paulista School 'is more radical'. And in an odd parallel, politics and practicality also caused the Richard Rogers' practice to bring the plaza in beneath the building at London's Cheesegrater. Age has obscured neither Mendes da Rocha's imagination nor passion. But will his new museum wow visitors as the current Azzolini building does? Its magnificently madly baroque interiors are as rich as the coaches themselves, and that may be part of the attraction. 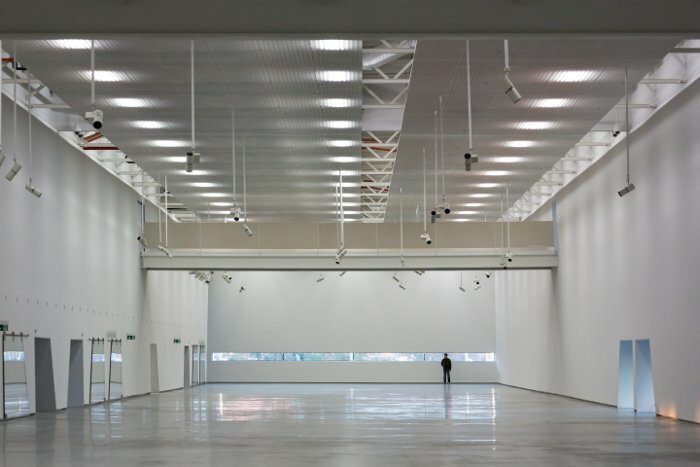 Could the new gallery lose its appeal without that submersive extravagance? Graça Santa-Bárbara, of the Coach Museum, seems unconcerned: 'The light and clear environment together with the larger exhibition area will give more visibility to the objects,' she says. Walkways above the exhibition floor recall Mendes de Rocha's bridges in the Sao Paulo Pinacotea.